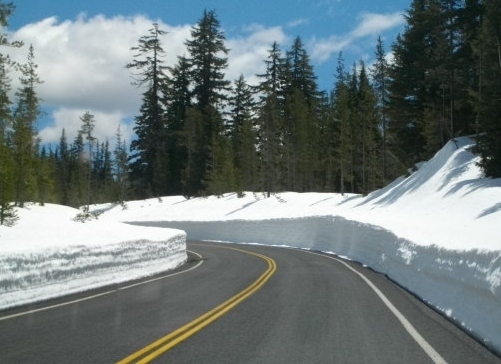 Century Drive opened today, a little earlier than the usual Memorial Day opening, but there’s still plenty of snow! 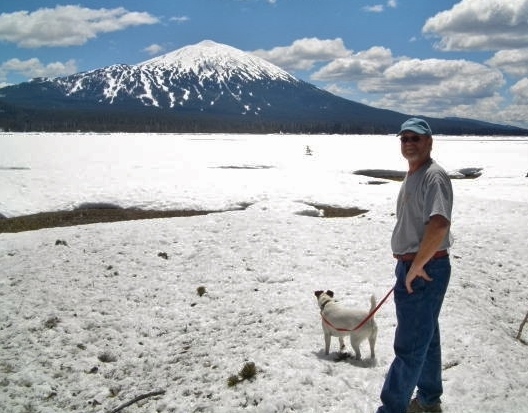 We couldn’t let Mavrik run in the snow, it’s actually Sparks Lake between Robert and Mt. Bachelor! The road is still framed with snow banks! This entry was posted on Wednesday, May 21st, 2014 at 8:20 pm	and is filed under Uncategorized. You can follow any responses to this entry through the RSS 2.0 feed. You can leave a response, or trackback from your own site. Leave a comment for Robert and Mary Jo!